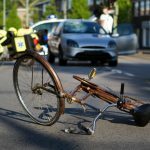 In 2017, accidents involving cyclists resulted in 4,200 injuries and 40 deaths. A map put together by RTS shows where each of these accidents occurred – red dots are deaths. Per kilometre cyclists are 10 times more likely to die than those in cars. In addition, while the number of vehicle and pedestrian casualties has dropped significantly, it has risen sharply for cyclists – see chart below. 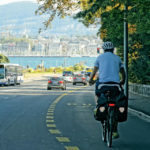 The popularity of cycling in Switzerland continues to rise despite this rise in cycling accidents. 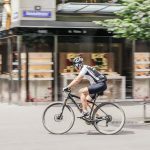 Nearly two thirds of household in Switzerland have at least one bike and the distance covered on bikes is expected to rise 32% by 2040. 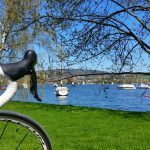 After last Sunday’s vote cycleways will now be included in the Swiss constitution in the same way as walking paths and railway lines. This means the federal roads office (FEDRO) is now able to create nationwide standards. FEDRO could, for example, create standards recommending cycleways be separated from roads. CHF 1.8 million has been budgeted for this work. At the same time FEDRO is only able to play a secondary role. Planning, construction and maintenance of cycleways will remain the responsibility of cantons and communes. In addition, the federal government isn’t required to make any financial contribution. Cantons and communes will need to pay. So now a nationwide framework for cycle paths should emerge, however, ultimately, cyclists will have to hope cantons and communes step (or pedal) forward to turn theory into reality.